Blue Resources has extensive knowledge conducting marine research projects and conservation initiatives not just within Sri Lankan waters, but also internationally. Among others, we have been actively involved in marine surveys, Environmental Impact Assessments (EIAs), sustainable livelihoods projects, and the development of domestic and international policy. Our staff and external contractors can provide scientific and technical expertise where and when needed, while Blue Resources has the capacity to act as a research platform for scientists conducting both short and long-term projects. Blue Resources plays an advisory role to the Ministry of Sustainable Development and Wildlife of Sri Lanka. 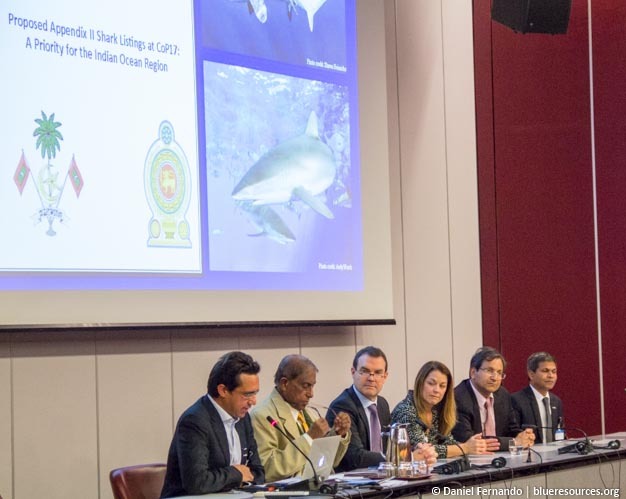 Here, co-founder Daniel Fernando forms part of the official Sri Lanka delegation to the CITES Standing Committee meeting in Geneva.